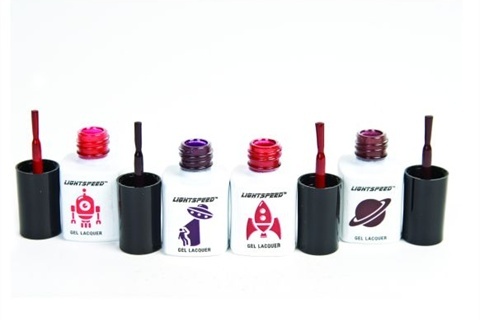 PNI Worlwide introduces LightSpeed, a new UV Soak-Off Gel Polish system. The astronomically themed line has a total of 18 colors along with top and base, and a light is available as well. The gels apply like polish, soak off fast, and the fall line of colors are Robo Red, Saturn, Abduction, and Rocket. For more information, visit PNI Worlwide.